They say the "kitchen is the heart of the home" for a reason. Whether you're making coffee in the morning or cooking dinner in the evening, we spend a lot of time in this essential space. Browse through our editor's favorite homes from this week that have stunning modern kitchens. Featured homes were submitted by members of the Dwell community through our feature, Add a Home. 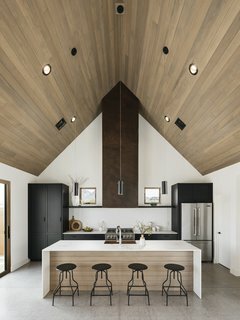 Add your home to Dwell.com/homes today. 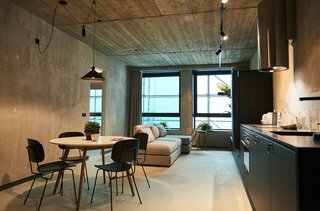 From the interior designer: "New and innovative residential concept to launch in Dutch housing market. Residents will be able to manage their home and facilities using the multifunctional HUT app that includes a variety of features and services such as laundry, parcel delivery, breakfast, bicycle, and gym services. All residents will have access to shared and sustainable HUT bikes. High-speed Wi-Fi will also be accessible for everyone and the communal lobby on the ground floor may be used at any time." From the architect: "Initially built by native dwellers 2,000 years ago and rebuilt for modern society over a century ago, are 181 miles of canals that bring water to the desert city of Phoenix, Arizona. These canals often go unnoticed, as the city has largely turned its back on these assets, until recently. 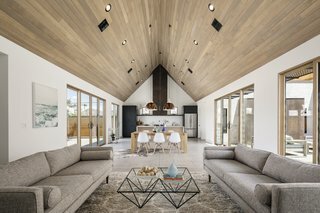 Canal House is a new home inspired by the forms of the missions in southern Arizona on a leftover, irregularly-shaped vacant lot along the Arizona Canal. The Ranch Mine designed the home to be a beacon, glimmering in the sun with its rusted, corrugated metal roof, drawing focus to the life-giving resource that slices through the gridded city." 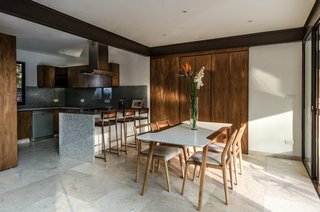 From the architect: "Casa Quieta is a residential cluster in the northern part of Cuernavaca with a mild microclimate, rich topography, and biodiversity (ponds, streams, and Cuernavaca´s profuse vegetation). This natural richness became the design principle for each space in Casa Quieta 12. The house's essence builds up from its context. Its principal axis emphasizes the void between the trees with geometric lines. The design premise was a negotiation with nature: to spread out or fall back where it demanded so—always looking after interior distribution and composition." 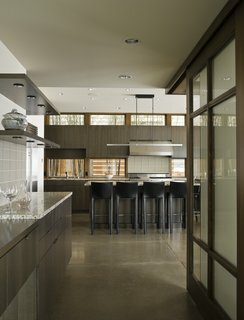 From the architect: "A waterfront property along Lake Washington where intimacy and openness coalesce, the Mountain View Residence is a timeless home epitomized by a private dining area that can be completely enclosed or opened to merge with the outdoor courtyard, welcoming private interactions and communal gatherings alike." From Leibal: "Old Jaffa House is a minimalist residence located in Tel-Aviv, Israel, designed by Pitsou Kedem Architects. 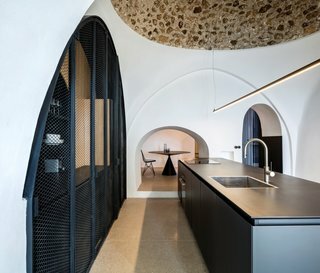 The renovation restored a historical building filled with archways and vaulted ceilings. Crevices, both natural and unnatural, are used as storage spaces. The idea was to amalgamate the new and the old, maintaining qualities of each to create a new space that blends the style harmoniously. The newly integrated spaces are left open in order to fully experience the surrounding views of the sea."